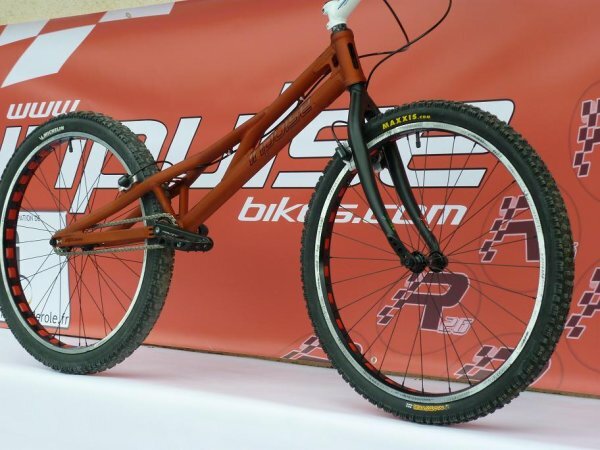 Inpulse is a new brand on the trials scene that appeared on the ever-expanding market at the end of last year (see Inpulse Racing Bikes). 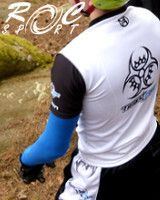 Launched by Elite rider Cédric Fontenoy, Inpulse is the result of a lot of planning and development. 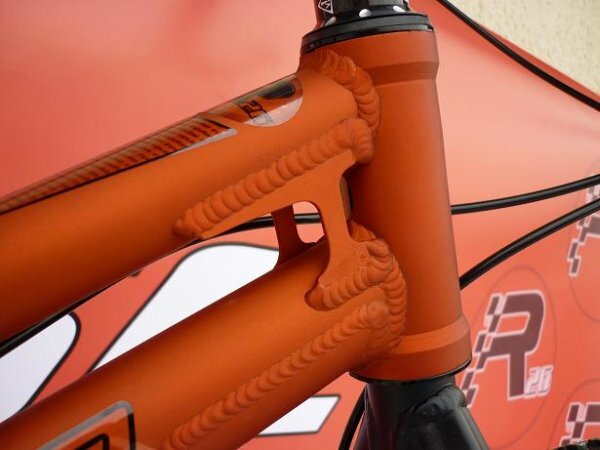 Cédric has been producing his own bikes for several years now and the current incarnation is something quite special. He therefore decided to realise his dream and create his own trials brand, with his brother Aurélian, the N°1 rider in the Rhône-Alpes region, one of the best Elite riders in France and in the World (Junior 20" & 26" World Champion in 2007, 4thin the European Championship in Zoertemeer and 6th in the Canberra World Championship en 2009), as ambassador! The 26” model, the R26, became available a couple of weeks ago and the R20 is now also available. Here is a closer look at the R26 – just what is it that sets it apart from its competitiors? 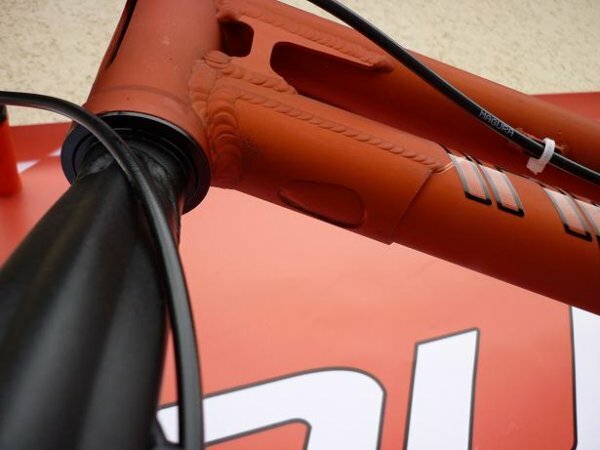 Firstly, its specific design that optimises stiffness at the rear end thanks to it’s long stays and double seat tube. 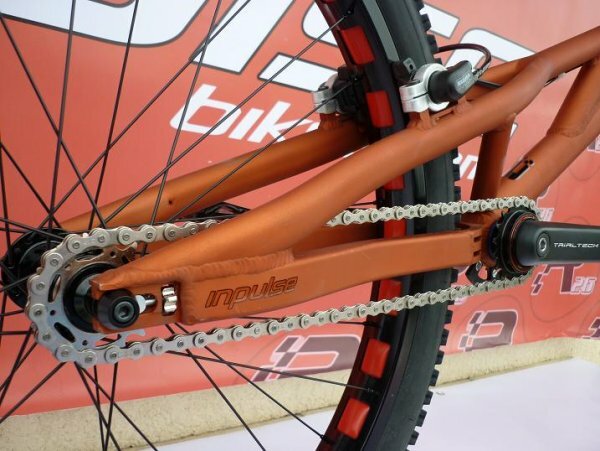 The chain tensioning system seems equally well thought out; simple, compact, out of the way of knocks and very light. 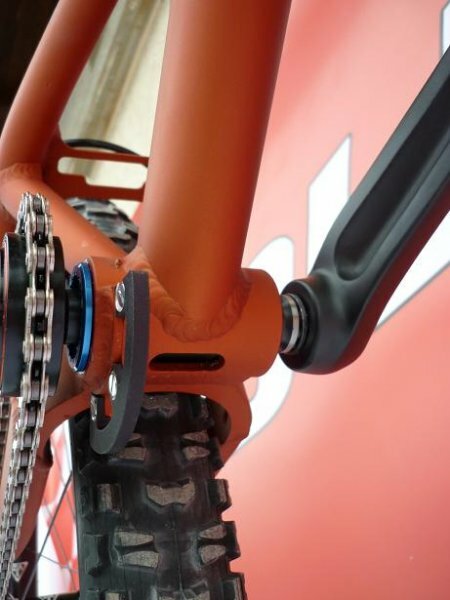 The integrated BB is also a nice touch, guaranteeing optimum protection whichever foot is forward. 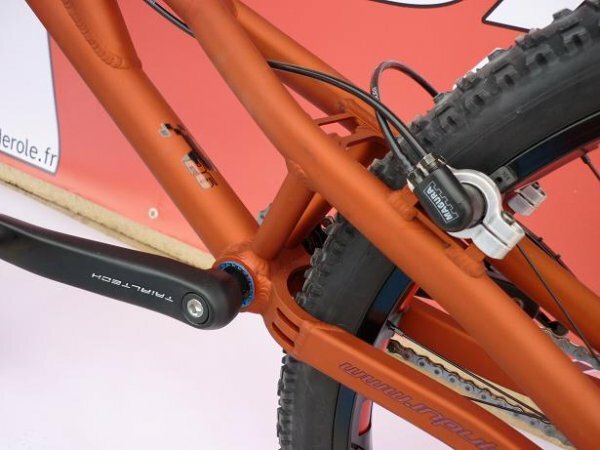 The head tube, as with most currently available trials bikes, has been cut away, but so has the BB shell! 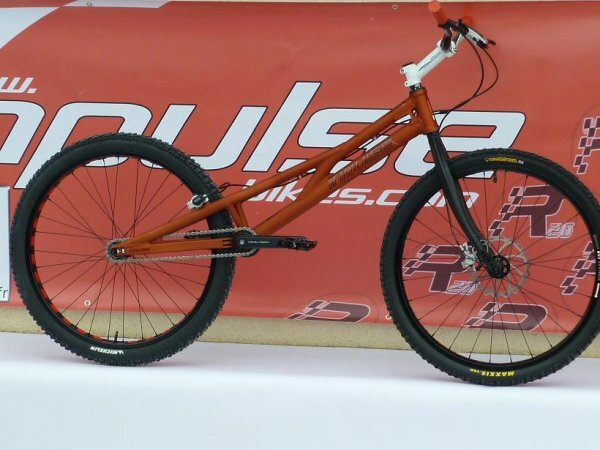 Below are the photos, specifications and info on this new 26” bike. 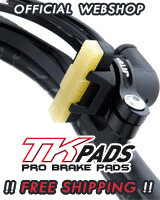 For further info, head over to www.inpulsebikes.com ! A few days ago Ben Savage unveiled the Slate 2. 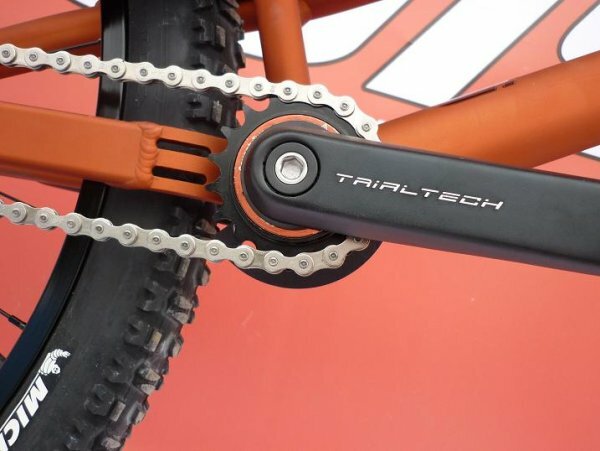 Here are the first images of the production models which will be available in anodised orange and green. Tribal Zine have decided to lend a hand to the new webzine that is bringing a new artistic edge to our sporta décidé d’aider ce nouveau, Focus Trial: our translator Ben Swales will also be providing the translations for the English version of the magazine from now on!